To nominate someone please submit 1) up to three letters of nomination that clearly explain the reasons for considering the nomination and the nominee’s contribution to the sociology of natural resources and environment, as well as 2) a current copy of the nominee's CV. Additional supporting materials may be sent, but are not required. Nomination materials must be submitted to the NRRIG chair by May 4 of the year of application. The winner will be selected by a committee of NRRIG members and notified by June 1 of the year of application. The NRRIG Graduate Student Travel Scholarship is intended to support graduate student participation at the RSS annual meetings. The recipient will be reimbursed for the student (member) registration cost for the RSS annual meeting ($125). There is a two-step process for submission: 1) Submit an abstract to present an oral presentation in the area of environmental or natural resources sociology at the annual meeting; 2) submit a cover letter to the NRRG chair by May 4 of the year of application. Cover letters will be reviewed based on need (i.e., does the student have alternative funding sources via his/her department or advisor), and importance of the meeting to the student’s career trajectory. Abstracts will be evaluated based on relevance, innovation, and/or potential contribution to the NRRIG. The winner will be selected by a committee of NRRIG members and notified by June 1 of the year of application. 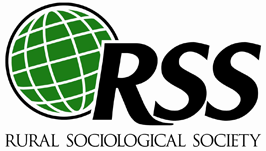 The Natural Resources Research Interest Group (NRRIG) of the Rural Sociological Society is soliciting submissions for a graduate student paper award in the area environmental or natural resources sociology. The paper should be related to the broad interests of the NRRIG. Current graduate students and recent graduates (who receive their degrees no earlier than May of the year of award) may apply. Coauthored papers are acceptable, including those co-authored with faculty. If co-authored, the applicant (a) must be the lead author of the manuscript, and (b) provide a statement detailing the relative contributions of each co-author. The recipient will receive a monetary prize of at least $100 (final amount TBD based on NRRIG budget) to defray the cost of attending the Annual Meetings of RSS. The recipient will also be recognized at the NRRIG business meeting. There is a two-step process for submission: 1) Submit an abstract to present the paper at the 2016 meeting; 2) Send an electronic copy of the full paper with contact information to the NRRIG chair by May 4 of the year of application; and (3) if co-authored, provide a statement detailing the relative contributions of each co-author. The paper submission should not exceed 35 double-spaced pages (including all tables, graphs, and references) in a standard font (12 point). The winner will be selected by a committee of NRRIG members and notified by June 1 of the year of application. Advancement of knowledge in the area environmental or natural resources sociology. Significance of the topic for the NRRG of the Rural Sociological Society. Quality and implementation of the research, theory, and argument. Analysis and interpretation of the findings.